This year, the volume of particulate PM 2.5 and PM 10, which are ultrafine particulates, have ranged between 200-100 and 300-200 micrograms per cubic metre (ug/m3), according to official data. New Delhi: The air quality of Delhi has so far been "relatively better" compared to last year, the Delhi government today said, a day after the Supreme Court-appointed EPCA pulled up the NCR states for not doing enough to prevent a potential spike in pollution during the upcoming winter. The corresponding safe standards are 60 and 100. In 2016, the average volume of these particulates were 500-200 and 300-100 between January and September. However, the government did not specify any reason behind the comparatively better situation recorded so far. 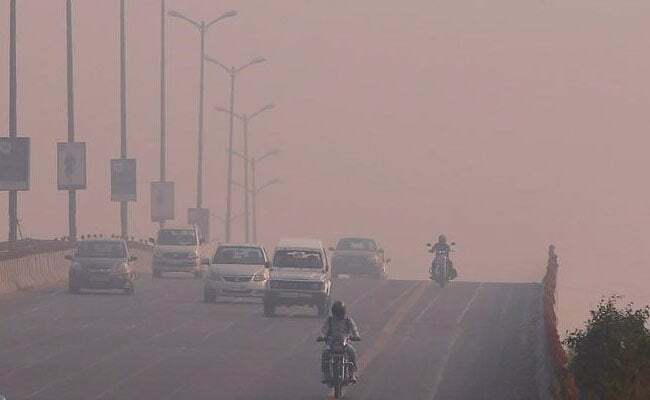 The figures were reviewed during a meeting of environment department officials and scientists of the Delhi Pollution Control Committee (DPCC) here today. The panel is also mulling over a proposal to roll out measures under the "very poor" category of the Graded Response Action Plan (GRAP) from September 25, instead of the scheduled October 15, in view of Delhi hosting a few matches of the U-17 FIFA World Cup. During the meeting, which was presided over by Environment Minister Imran Hussain, preventive measures being taken to arrest a possible spike in pollution levels during the upcoming U-17 FIFA world cup and Diwali were discussed. A senior government official, on condition of anonymity, said the picture has indeed been better this year, but air quality will start deteriorating from October due to rapid fall in temperature and burning of paddy straw in neighbouring Punjab and Haryana. A host of measures under the very poor category of the GRAP, which was drawn up by the Central Pollution Control Board (CPCB) and is being implemented by the EPCA, including the closure of the Badarpur thermal power plant, are scheduled to come in force on October 15.